For Microsoft, 1983 means the end of an era with the resignation of Paul Allen, the introduction of MS - DOS 2.0 and the formation of Microsoft Press, a trade-book publishing division specializing in computer books. Paul Allen resigns as Microsoft's executive vice president, but remains on the Board of Directors. 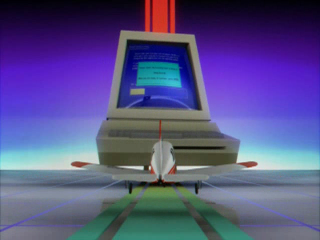 Microsoft introduces the Microsoft Mouse, a low-cost, handheld pointing device for use with the IBM PC as well as any other MS-DOS-based personal computer. The assets of Wiser Laboratories Pty, Ltd. of Australia, the local distributor of Microsoft products, are acquired. With the establishment of this subsidiary, Microsoft obtains a direct distribution network into the region. All of Wiser's employees will be retained, and the firm will stay at its existing address. This is considered the company’s first acquisition. 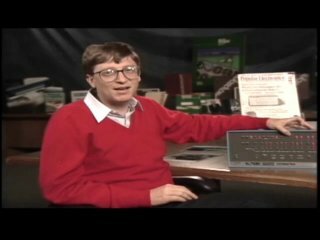 Microsoft ships it’s full-featured word processing program, Word for MS-DOS 1.00 and provides a free demonstration copy to subscribers of The PC World Software Review. 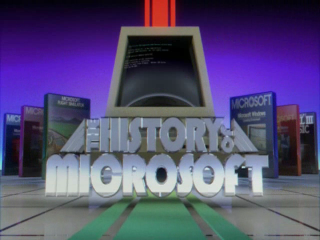 Microsoft Press, a trade-book publishing division specializing in computer books, is formed. Nahum Stiskin is named General Manager and Publisher. The primary marketing focus is the business professional, with secondary emphasis on the hobbyist, home, and education markets. 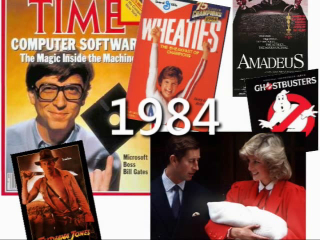 Microsoft Press expects to publish 30 to 35 books in its first year. 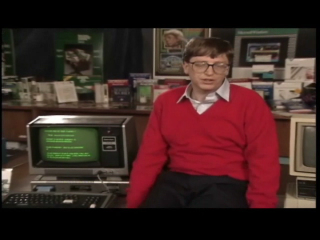 Microsoft unveils Windows, an extension of the MS-DOS operating system that provides a graphical operating environment. Windows features a window management capability that allows a user to view unrelated application programs simultaneously. It also provides the capability to transfer data from one application program to another. Windows wouldn’t actually ship until 2 years later. The first international subsidiaries to connect to Microsoft e-mail are in Europe: Microsoft Ltd. in the U.K., Microsoft Sarl in France, and Microsoft G.m.b.H. in Germany. Notable new hires: Jon Shirley - Former Microsoft president, chief operating officer, and director; Joachim Kempin - Former senior vice president of Microsoft's OEM Division;Mike Slade -Former product manager, helped products such as Excel and Works to become household names and managed the entire line of Mac products;Pete Higgins - Former group vice president of the Interactive Media Group and member of the Office of the President;Raymond B. "Buck" Ferguson - Former senior director of Investor and Shareholder Relations;Bernard Vergnes - Chairman Emeritus of Microsoft EMEA. · First Woman In Space: Sally K. Ride, 32, is the first US woman astronaut in space as a crew member aboard space shuttle Challenger. · Academy Awards: Best Picture - Terms of Endearment, James L. Brooks, producer (Paramount); Best Actor - Robert Duvall, Tender Mercies; Best Actress - Shirley MacLaine, Terms of Endearment; Director - James L. Brooks, Terms of Endearment. · M*A*S*H: More than 125 million viewers tune in to the last episode of M*A*S*H.
· Birth of Cell Phones: The FCC authorizes Motorola to begin testing cellular phone service in Chicago. · New Camera Technology: Kodak produces 8 million disc cameras during the first year of production. · The Pope: Pope John Paul II signs new Roman Catholic code incorporating changes brought about by Second Vatican Council. I'm guessing that's a typo ? Good show Tina. One advice. Stop twitching your head so violently while talking. "First US Woman in space" is what I heard. Another great nostalgia inducing episode as always. So 7 months is all it took them to go from MS DOS 2.0 to Windows? Amazing, I didnt realise Windows started it's life so far back!